After an introduction by Paul Craig Roberts, an anonymous author gives a remarkably deep analysis of the Patient Protection and Affordable Care Act of 2010, commonly referred to as the ACA or Obamacare, that goes into full effect in 2014. Emphasis is on how it will affect your income. 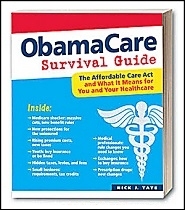 The topics are: 1) use of Modified Adjusted Gross Income, 2) tax credits (help paying for insurance), 3) your share of the premium, 4) paying back the tax credits to the IRS, 5) expansion of Medicaid and estate recovery which could affect you if you are put into that plan, 6) inadequate coverage in most subsidized plans, 7) penalties, 8) exemptions and 9) some miscellaneous items. The article also examines the agenda of Enroll America and the Health Insurance Exchanges. Daniel P. Kessler, a professor of business and law at Stanford University and a senior fellow at the Hoover Institution, explains how every one of the main claims for Obamacare (lower health-care costs, smaller deficits, preservation of existing insurance, increased productivity) is turning out to be false. Andy Soltis lists five new Obamacare-related taxes that became effective on New Year’s Day 2013. The size and complexity of the Affordable Care Act, and the fact that the entitlement starts up in October 2013, is leading to confusion among physicians and the States, and is revealing ineptitude and high-handedness on the part of the government’s Health and Human Services Department. Betsy McCaughey, a former lieutenant governor of New York and author of the new book ‘Decoding the Obama Health Law,’ details the problems ahead for the 250 million Americans who already have health coverage. Example: If you’re a senior or baby boomer, cuts in future Medicare funding (to pay for over half the Obama health law) means that hospitals will have $247 billion less to care for seniors. And if you sell your home, expect to pay a new 3.8 percent tax.